"...If you browse the RPG Maker forums or the various digital indie game storefronts like itch.io or Steam Greenlight, you can see why. They're filled with shoddy efforts that appear to have been created in an afternoon using nothing but stock art assets that come with the program. Broken english, bad level design, poorly written stories, boilerplate interaction, and inconsistent pacing are just some of the problems that often plague these games. 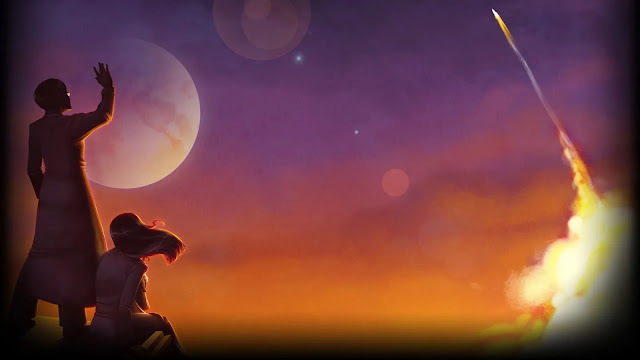 To the Moon’s promotional art work. Image: Freebird Games. ...The most important thing a developer can do to protect the vision of their game is creating unique content that goes beyond this base level of production," said Justin Amirkhani, creative director at Vagabond Dog. "With the proper application of fresh art and uniquely developed mechanics, it can be difficult to discern if a game was even made using RPG Maker. Developers who take the time and effort to make their product their own need not fear any stigma, regardless of what engine they create with."